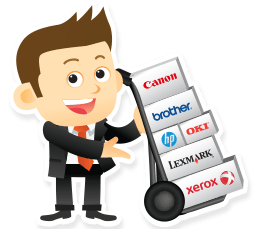 TONS OF TONER is owned by Laser-Grafix, Inc. We've specialized in printer, copier & fax supplies since 1989. We carry all types of new & compatible toner cartridges, inks, drums, ribbons, parts & more! TONS OF TONER is a US registered trademark. © 1995 – 2019 Tons of Toner. All rights reserved. All other brand names and trademarks are the property of their respective owners. Tons of Toner is in no way affiliated, sponsored or endorsed by these trademark owners, their affiliates, or their dealers.